Spas are the necessity of the modern lifestyle and the industry continuous to flourish in serving its customers needs. Client’s visit to the spa not just for a feel good experience but it’s become a preventative health care requirement in the always on the run contemporary living patterns. Pampering clients in the utmost luxury and serene surrounding makes every spa experience outstanding, rewarding and trustworthy. However, in their attempt to serve their clients, many times earth’s valuable resources are both overused and not well taken care whether it’s the hyped and costly marketing materials used for promoting spa services, waste of excessive water and energy in day-to-day practices or causing other environment damage through disposal of toxic laundry products, plastics, paper and many more. Spa management at most times overlook at these factors while they concentrate on their prime focus of improvising themselves in every aspect of their service to look after their clients every small and big need. “Spas and wellness centers are places that focus on the personal well-being of the clients. Unfortunately this is achieved by large amounts of water and energy consumption, not to mention the actual chemicals used in treatments and the considerable amount of waste production,” says Talar Hagopian, Spa Manager at Iberotel Miramar Al Aqah Beach Resort. Some conservation on the use of earth’s valuable resources and by preventing harmful disposal waste into the environment, one can not only aid in reducing spa carbon footprints on our Mother Earth and prevent resources for the future generation but also its rewarding for the spa as this helps in saving their operational costs. 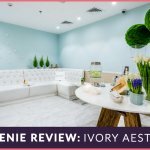 SpaGenie finds out how a spa based luxury industry can execute earth conscience and future-friendly efforts in an easy manner without compromising on their service quality. Considering the fact that the well-being of our guests is directly correlated to the well-being of their environment, it is our responsibility as wellness professionals to address both personal and global sustainability by implementing healthy lifestyle choices that would benefit the guests and the Earth, comments Hagopian. “We can also hope that these choices can be passed on to our clients and adopted into their daily practices, shaping the way for a sustainable future,” she adds. If you would like to renovate the spa, then eco friendly designs would be better. Having the design made to include heat insulation systems, daylight to light up the circulation areas, natural ventilation to support climate control for indoors would help a lot says Hagopian. Also, the entire need for hot water and additional lighting in the spa can be provided through solar panels installed in a concealed manner on the rooftops of the spa, she explains. But it’s not necessary to change the design adopt green practices. Many of the green practices could be done without changing the interior design. “It’s all about finding alternatives that are better for our health and the health of the environment. For example, switching to cleaning products that are natural compared to dangerous, hazardous chemicals would definitely result in a perfectly clean spa, but with the benefit of having far less toxins that would damage our health and the environment,” adds Hagopian. “Although initial costs for some of these initiatives may be high, they usually pay for themselves and start to provide savings within one to two years. For example: investing in motion sensors and CFL bulbs will cost up front, but the savings in electricity use will continue well into the future. Also, if this is not within the initial budget, you can start with less costly sustainable initiatives, such as waste segregation. Once a significant amount of income is generated from this practice, the money can be invested in the more expensive initiatives. ‘Small steps’ is the key in the success of these initiatives,” says Hagopian. 1. Creating a sustainability SMART goals and objectives for your spa. 2. Engage your employees as it is fundamental to the success of your sustainable business plan. Share your vision and goals with them. 3. Integrate these goals into your day to day management and into your employee’s career. Your staff is the one in direct contact with your clients and they are the ones who will communicate your values and philosophy to them. 4. Energy saving measures that include use of energy management systems; CFL bulbs / LED lighting; ceiling fans; motion sensors for rest rooms fitness centers, steam rooms; energy efficient appliances and air filtration system; turning off the air handling unit at night and employee training and awareness programs for energy and resource conservation. 5. Water conservation measures include use of measures such as low flow showerheads; aerators in faucets; serving water on request only; dishwashing valves; low flow toilets; waterless urinals; toilet tank fill diverters in older toilets; a more managed laundry service. 6. Waste management measures involve eliminating the use of single use bottled water; plastics, disposables, paper towels; use of treatment menus in digital format to save paper; staff trained on product measurements for treatments; bulk buying that reduces packaging and waste; provide water bottles and encourage them to refill rather than buying plastics drinks bottles or disposing of the cups provided and ask suppliers to deliver products in minimal wrapping. 7. Also reuse cloth banks; treatment oil bottles; paper; envelopes for back office use; packaging can be donated to nurseries and schools; reuse recycled gray water for plant irrigation. “That is actually one of the important aspects of going green. Part of your sustainability program would be to educate your clients on your initiatives and give them positive green experiences. Identify those clients that care about your initiatives and reward them, for example, by planting a tree on their birthday and celebrating it with your team or surprise them with a piece of art created by one of your staff made from recycled spa items. You just have to use your creativity to get them involved in your spa’s green activities and for sure they will become your brand ambassadors,” say Hagopian. As for the savings, we have saved thousands of dirhams (not at liberty to mention here) and actually generated thousands as well from our recycling programs. The money generated from our initiatives is reinvested in additional and new green initiatives and so the cycle continues. Being green globe certified has also opened more business opportunities for the resort and has attracted guests that have a green mindset,” says Hagopian. It’s a lifestyle choice and whether it is in the spa or in my home, it is the same goal! And it is my hope that our clients would be adapting these initiatives in their own lifestyle as well says, Hagopian. “Integrating environmentally friendly ideas into your daily operations not only benefit the ecosystem but also save significant money in your annual budget. Such choices can produce a healthy atmosphere for your clients and your employees and at the same time help you retain them. Going green is definitely a win-win situation for everyone and for the sake of the environment and our future generations; I hope all spas follow a greener path,” concludes Hagopian.